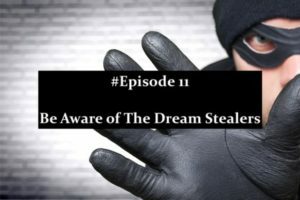 When a person makes the decision to build a Network Marketing business they had better be prepared for the dream stealers. These are people that will try to burst their bubble and squash their excitement. Dream Steelers are always going to be around, but you choose whether not you are going to let them affect you. 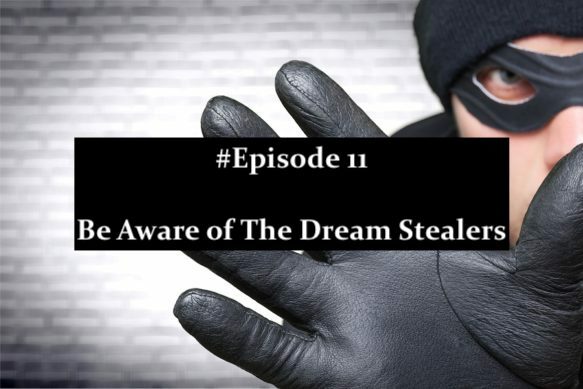 There is a lot of misunderstanding in regards to the Network Marketing industry, so dream stealers are quite common. However this is when the strength of your decision will really kick in, because when you are focused on the end goal, you will not let the surface dream stealers take you away from your focus. Not everyone will see what you see and some people will even be hostile to your vision. These are all the things dream Stealers say and more. So the question you have to ask yourself is, are you going to let people live rent-free in your head? Is their opinion, strong enough to steal you away from your destiny? Dream Stealers are normally the people that live mediocre lives have a mediocre house drive a mediocre car and live a mediocre lifestyle. However your vision is to live more than a normal lifestyle and that is going to take effort and it's also going to take time. However the end result will be far worth the journey. Therefore if you are ready for success in your Network Marketing business and you are focused on the end result, then ignore the dream Stealers. If this post has helped you and you know other people that need to hear it or read it, please feel free to share it on all of the social platforms you use.